Regardless, this is a 3.6.3.6 tessellation- the old standard, triangles and hexagons together. However, with these “waterbomb” tessellations, there seems to be a little bit of change due to the geometry involved. I still think they use the same “my twists are my dual” rule, but it’s a little different in how it folds out in the end, and I haven’t quite figured it all out yet. 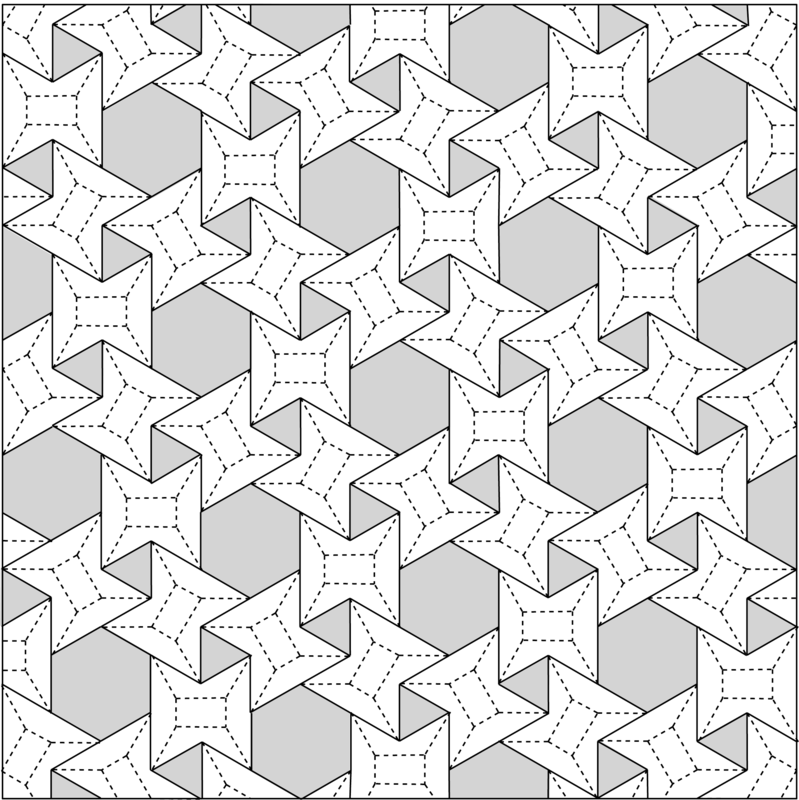 This pattern (which I am currently folding) is really quite complicated to collapse. Much trickier than I thought it would be. However, I think the results will be quite interesting and worth the time spent. It’s not really a full CP- many of the little creases for the hourglass shapes aren’t there- but I think you can figure it out if you fold these sorts of things. have you ever managed to fold this? oh yes, many times. it requires a lot of pinching and shaping to get it to collapse, though. There’s some examples of the finished model on my Flickr stream. What do the darker areas mean? Previous PostPortland, Oregon sushi restaurant has origami tessellations?